This is part one of the series "Making a pen using a CYOC blank". A new pen blank design that allows the penmaker to choose the contrasting color when making the pen, rather than when purchasing the blank. CYOC uses a swirl of one color and clear poly resin. Reverse painting the drilled holes permits the penmaker to choose any contrasting color he or she desires. 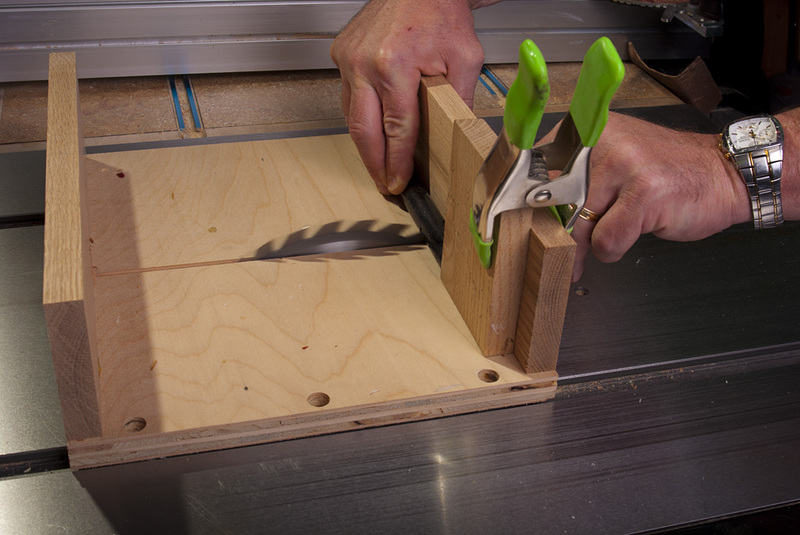 Using a sled on the tablesaw makes cutting small parts like pen blanks safe and easy. First, cut the blank to a smidge larger than the tubes. In this case, I'm cutting the blank to match the tubes for an El Grande Elite kit. The blank is left a bit larger so it can be trimmed square to the tube later.